As I write this post it is winter outside and not the time of year when everything will grow as bountiful in many parts of the country. Spring is around the corner and a time of year where many in areas all over the world will be getting ready to get outdoors and start tending their gardens. The garden niche is very broad with plenty of profit potential. Many people are becoming more and more self-aware of the need to grow their own fruits and vegetables. Being able to supply these people with all the varieties of products within this niche, will not only give you a green thumb but also a green online money making opportunity. Before you even get started, I would take a look at the audience you plan to target. Ask yourself, WHO you want to target. WHY are they creating a garden? Traditional forms of gardening are seasonal, as seen by the highs and lows in the above and below graphs. One thing to take note is just how high those peaks are. This is a testament to the popularity of gardening. Regardless of being seasonal, gardening will always be a popular and profitable niche. the popularity of raised garden beds seems to be growing! Another area that has become popular within the past 15 years, especially in urban areas, is that of community gardens where whole communities will receive a plot of land on a specific piece of property. This gives many people a chance to grow their own produce and in a community effort to keep the land cultivated. Now within the past 5 years the concept of community gardening has been slightly modified to become known as co-op gardening. In a co-op, a group of people share the equal responsibility of planting and cultivating one whole piece of land instead of just their own little section of it, and then share in the harvest. As popular as community and co-op gardening has become, indoor gardening has been growing and maintaining a strong interest among many people wanting to grow their own produce but lacking the access to outdoor land. With the use of technology, indoor gardening has come a long way and is even becoming popular for both big and small growers. With such a broad niche as garden, it will be necessary to narrow it down to a more specific sub niche. Whether you are providing garden supplies or even just education, many will want what you have to offer. There are a lot of possibilities when it comes to a focused down niche, all of which can be quite profitable. Let us look at several of them. What I found with all of the affiliate programs I researched was that there was no shortage of different programs having to do with the varying aspects of gardening. Whether it be flowers, plants, vegetables, soil, fertilizers, garden structures, tools, and even education, there are many affiliate programs with better commissions than the big stores like Lowes and Home Depot. So what I did in choosing the following programs was to look at the presentation of their websites in terms of ease of access to information. I also wanted to choose programs that embodied not just plants, flowers and vegetables, but also education and supplies. Because there are many, you shouldn’t have a problem finding more than what is listed below. Comments: Since 1920 Wayside Gardens has become one of the most respected mail-order nurseries in the US, legendary for the quality of its plants and bulbs, the massive varieties, and the excellence in customer satisfaction. Originally located in Mentor, Ohio, Wayside Gardens grew rapidly. In 1975, Wayside was bought by Park Seed Company and moved to South Carolina. Since then, the company has grown to becoming a leader in gardening today. Wayside Gardens focuses on providing unusual, high-end plants and accessories for the serious garden enthusiast. Both the catalog and website present an extensive selection of quality container and bare-root plants, along with decorative accessories, available exclusively from Wayside Gardens. Their website was easy to browse, is chock-full of all kinds of plant life, and offers a 30 day cookie. Comments: Gardener's Supply was founded in 1983 by a few enthusiastic gardeners. Today they are headquartered in Burlington, Vermont, serve millions of gardeners nationwide, offering everything from seed supplies and garden furniture to flower supports and garden carts. Though their company has grown they remain an employee-owned company that is committed to providing the best garden-tested, earth-friendly products that will help customers have more fun and success in their gardens. Gardener's Supply offers all customers who visit their store in Vermont to stroll through their 3-acre display gardens. They will also provide local seminars and special events throughout the year. Though they give only an 8% commission and a 30 day cookie, the gardening supplies they have on their easy to use website are quite diverse with a wide variety of gardening products. 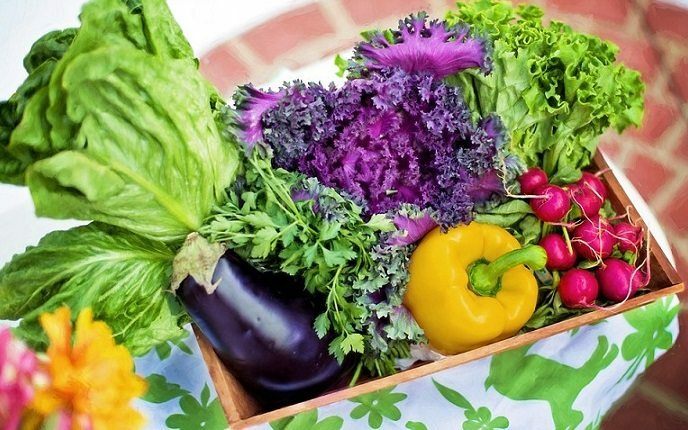 Comments: The Smiling Gardener website by Phil Nauta, is for organic gardeners everywhere who are growing or want to learn how to grow organic, nutrient-dense food. The training provided on this website is for people who want to go deeper into the art of organic gardening. Being different than the previous affiliate programs, the Smiling Gardener website offers education in organic gardening instead of actual plants and a majority of gardening supplies. They have a 120 day cookie, and 15% for products and 50% for training. Why Is This Different From Google’s Number? Though Google’s Keyword Tool has improved in recent years, it still gives inflated (inaccurate) traffic numbers. The keyword tool I use takes data from a variety of search engines, not just Google. Remember that Bing + Yahoo own 30% of the search market. There is plenty of opportunity to make some big money in this niche because there are just so many ways in which to make it. Gardening is a passion and even a lifestyle of many people the world-over. It is also a niche that requires an ongoing supply of products for those with gardens in keeping their plants healthy and growing. What you will need to do is look at the garden niche as a whole and pick out a sub category that perhaps you can associate with or would like to learn more about. I like indoor gardening because I know that many people don’t have access to land to grow on, like those in apartments. That could be quite profitable because it requires a bit more supplies for those who engage in it since they will be growing in pots and trays as opposed to being able to grow in the ground. Another area I am interested in, and one that applies to both indoor and outdoor gardens, is growing Non-GMO food. According to some studies, there is evidence that GMO (Genetically Modified Organism) foodsare bad for our long-term health. Because of this, many people are looking to grow their own GMO-free produce to minimize the health risks that these altered crops are known to cause. I personally don't believe any of it, and am very skeptical of those that promote a non-GMO lifestyle. Sounds like hippie crap to me. But I am just one person, and the graph above does not lie. It's popular, growing in popularity, and people are passionate about it. Passion = $$$ in the world of business. I would start by focusing on indoor gardening since the plants will be smaller, and I would be able to take my own photos and do my own experiments in my house. As I grew the site, I would venture into outdoor gardening as well, including things like backyard chickens, and building your own raised garden beds. There are many digital products out there with blueprints on how to build different structures like chicken pens and garden beds, so that would be a big source of revenue IMO. The garden niche, no matter which angle you take, can be an opportunity to see your profits flourish into a sustaining income stream. But with all of the various ways to make money, you may feel a bit overwhelmed with all of the possible directions you can go in the start of this niche. Then, once you build your site, how do you get it to make money? Well there is no need for you to worry because I am here to help guide you to online success! I got my start at an online business training center called Wealthy Affiliate. They showed me how to build a simple website, get traffic to it, and eventually turn it into a full time online business. My first successful niche was related to computers. The all-inclusive training and business building program is easy to understand. Unlike many of those scam programs online, Wealthy Affiliate offers you the opportunity to start as a free member to see what it is all about before you need to spend any money. Are you ready to grow your garden niche website? Just click the below image and I will walk you through the process of getting started. Thank you so much for all the information! I’m two months into my garden/houseplant niche website and I cannot for the life of me find any reputable companies to promote! You’ve named some good ones that I’ve now joined. I’m having lots of issues finding a good online nursery as that’s the article that I’m currently working on. I found one great one, but it unfortunately does not have an affiliate program. Glad I could help Sara! When companies don’t have an affiliate program, you can still earn from writing a review of them. Try monetizing with display ads. 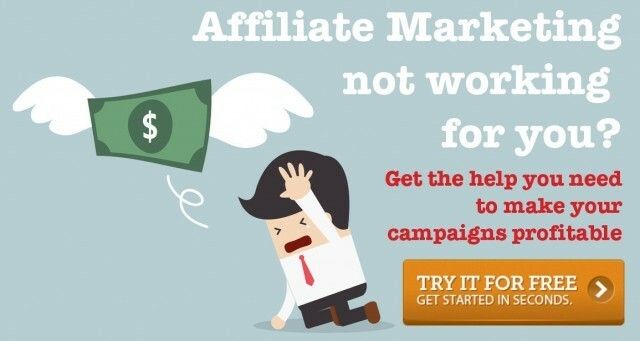 You can also leverage that traffic to send to other pages on your site that do have affiliate programs. For example, with an online nursery, what else might a person shop for? Can you buy fertilizer online? Can you buy trellises or other structures online? These could all be potential products to promote alongside your online nursery programs. Just the post I am looking for! I am a WA premium member and wanted to blog about organic home gardening. I like how the niches are broken down. Do you think organic home gardening is too broad a niche or should I try ‘organic indoor gardening’ or maybe ‘small organic backyard gardens’? I also signed up for The Smiling Gardner’s online course, but still have to do follow the lessons as I have some time constraints. Would I have to be an expert at organic gardening before I start my website or can I read a few books and jump straight in? The Smiling Gardener course is over 12 months and i would like to start my website before 12 months! No problem Phil. Just update the post! I’m a WA student who chose the Gardening niche and I have my site to the point where I’m needing to sign up for a couple of affiliate programs. I have already done a good bit of research and taken notes on programs that I definitely want to affiliate with and a few that I don’t. I see a couple that you have listed above were already on my list. Thanks for the information, bud. Glad you found this post useful David!